Not to be confused with Robert Levenson. Robert Alan "Bob" Levinson (born March 10, 1948) is an American former Drug Enforcement Administration and Federal Bureau of Investigation agent who disappeared mysteriously on March 9, 2007 in Kish Island, Iran. He is believed to be held captive by the government of Iran. U.S. officials believed Levinson had been arrested by Iranian intelligence officials to be interrogated and used as a bargaining chip in negotiations with Washington. But as every lead fizzled and Iran repeatedly denied any involvement in his disappearance, many in the U.S. government believed Levinson was probably dead. He was last seen alive in photographs from April 2011, wearing an orange jumpsuit and holding signs apparently asking for help in broken English. On December 12, 2013, the Associated Press (AP) reported that their investigations revealed that Levinson indeed had been working for the Central Intelligence Agency (CIA), contradicting the U.S.'s statement that he was not an employee of the government at the time of his capture, U.S. officials had publicly insisted that Levinson went to Iran as a private investigator working a cigarette smuggling case. AP had first confirmed Levinson's CIA ties in 2010. He was on an unauthorized intelligence-gathering mission about the Iranian regime for the U.S. government. When his case came to light inside the U.S. government, it produced a serious scandal. Levinson's travel was planned by three CIA officials who did not follow the proper vetting process or seek the necessary approval for the mission from their supervisors. Kish island in the Persian Gulf is a free-trade zone, meaning Americans do not need a visa to enter, a tourist destination and stronghold of international organized crime. In 2008 the CIA forced the CIA officials to turn in early resignations and disciplined seven others after an internal investigation determined they were responsible for sending Levinson on the mission to Iran. Levinson's source on Kish was Dawud Salahuddin, an American fugitive accused for the killing of the prominent former Iranian diplomat Ali Akbar Tabatabaei in 1980. The exiled Tabatabaei was holding meetings of a counter-revolutionary group at his US home at the time. What Levinson wanted in that mission altogether remains is unclear. Levinson had retired from the FBI in 1998 and had become self-employed as a private investigator, his specialty was Russian organized crime gangs. Both Levinson and the CIA analyst who hired him, Anne Jablonski, specialized in Russian organized crime and not Iranian issues. In an interview, Iranian President Hassan Rouhani spoke of cooperation regarding Levinson's case. "We are willing to help, and all the intelligence services in the region can come together to gather information about him to find his whereabouts." John Miller of CBS described this statement as a "tacit admission that he's in their custody and that there have been talks". 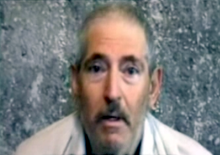 On April 4, 2007, a little over three weeks after Levinson was arrested, an article by Iranian state-run PressTV stated that he "has been in the hands of Iranian security forces since the early hours of March 9" and "authorities are well on the way to finishing the procedural arrangements that could see him freed in a matter of days". The same article explained that it was established that Levinson's trip to Kish "was purely that of a private businessman looking to make contact with persons who could help him make representations to official Iranian bodies responsible for suppressing trade in pirated products which is a major concern of his company". On January 8, 2013, the Associated Press reported that "the consensus now among some U.S. officials involved in the case is that despite years of denials, Iran's intelligence service was almost certainly behind the 54-second video and five photographs of Levinson that were emailed anonymously to his family. 'The tradecraft used to send those items was too good, indicating professional spies were behind them', the officials said ... While everything dealing with Iran is murky, their conclusion is based on the U.S. government's best intelligence analysis." Media reported in August 2007 that Christine Levinson, wife of Robert, was planning a trip to Iran with their oldest son, Dan. The Department of State stressed that there was a travel warning to that country and they would be doing so at their own risk. Iran announced on September 23, 2007, that they would be allowed to visit the country. In December 2007, Christine and Dan traveled to Iran to attempt to learn more about Levinson's disappearance. They met with Iranian officials in Tehran and traveled to Robert's hotel on Kish, the Hotel Maryam. Airport officials allowed Christine and Dan to view the flight manifests for all flights leaving Kish during the time Robert was due to leave, but his name did not appear on any of the lists provided. They were also able to view Robert's signature from the hotel check-out bill on March 9. Iranian officials promised to provide an investigative report to the family, but have yet to do so. In July 2008 and subsequent interviews, Christine and Dan have said they wanted to travel to Iran again soon. I remember that last year Iranian and American intelligence groups had a meeting, but I haven't followed up on it. I thought they'd come to some kind of an agreement. CBS' John Miller says that "tacit admission that he's in their custody and that there have been talks", in and of itself, "is a big step". There was a claim made some time ago, some people came over, the gentleman's family came over. They talked and met with our officials and were given our responses. I see no reason for a person who was given an Iranian visa and — came into Iran, arrived in Iran through official channels, to have problems here. Our security officials and agents have expressed their willingness to assist the FBI, if the FBI has any information about his travels around the world. We have said that we are ready to help, to assist with that matter. There are certain informations that only the FBI at the moment has. I am not an expert in that field, as you might appreciate, so I'm not going to make a judgment here whether that information, as they say, is true and only held by the FBI or other parties for that matter. On January 13, 2009, U.S. Senator Bill Nelson revealed during Hillary Clinton's confirmation hearing that he believes Robert Levinson is being held in a secret prison in Iran. "The door has been closed at every turn," Nelson said during Clinton's confirmation hearing. "We think he is being held by the government of Iran in a secret prison." According to The New York Times, Levinson had been meeting with Dawud Salahuddin, (an American convert to Islam wanted for the 1980 murder of an Iranian dissident in the US) "just before he went missing". Finding him remains a high priority for the United States, and we will continue to do all that we can to bring him home safely to his friends and family, so they may begin to heal after so many years of extraordinary grief and uncertainty. The Iranian Government previously offered assistance in locating Mr. Levinson and we look forward to receiving this assistance, even as we disagree on other key issues. Secretary of State John Kerry also met with Levinson's wife and son "to reiterate that the U.S. government remains committed to locating Mr. Levinson and reuniting him safely with his family". On March 6, 2012, approaching the five-year anniversary of Robert Levinson's captivity, The Federal Bureau of Investigation offered a $1-million reward for information leading to his safe recovery and return. In addition, a campaign was launched, using billboards, radio messages, flyers, and a telephone hotline to publicize this reward and obtain information of his whereabouts. In conjunction with this announced reward, the Society of Former Special Agents of the Federal Bureau of Investigation announced that it was giving the two youngest Levinson children $5,000 each to help with their college costs. On March 9, 2015, the FBI increased the reward to up to $5 million for information regarding Levinson's whereabouts. According to the Associated Press, Levinson's family received "irrefutable proof" of life late in 2010. On December 9, 2011, the family released a hostage video they received in November 2010. In the video, Robert appears to have lost considerable weight, and repeatedly pleads for help in returning home. On January 8, 2013, Levinson's family released photos to the media showing the former agent in an orange jumpsuit with overgrown and unkempt hair. A family spokesman told CNN the photographs were received in April 2011. CNN reported: "Asked why the family is releasing the images now, more than 18 months later, the spokesman said: 'The family is anxious that not enough is being done. There is frustration with the lack of progress on the case.'" In an interview with CNN's Christiane Amanpour during his trip to the United Nations General Assembly in September 2013, Iranian President Hassan Rouhani spoke of cooperation regarding Levinson's case. "We are willing to help, and all the intelligence services in the region can come together to gather information about him to find his whereabouts", Rouhani told Amanpour, "and we're willing to cooperate on that". In a subsequent interview with Charlie Rose, Rouhani said, "As to where his whereabouts when he disappeared, I personally have no information on those details, but naturally when someone disappears their family is suffering in specific. Everyone must help. It's natural that everyone must help". During the Obama-Rouhani phone call on September 27, 2013, the first communication between the presidents of the two countries in 34 years, President Obama noted his concern about Levinson's disappearance to Rouhani, and expressed his interest in seeing him reunited with his family. On November 26, 2013, Levinson, if he is still alive, became the longest-held hostage in American history, surpassing Terry A. Anderson. According to his family, he suffers from type 1 diabetes, gout, and hypertension. His passport has never shown up in any other country. In a unanimous decision, on May 11, 2015, the United States Senate voted on a resolution[which?] for the release of Robert Levinson, which passed without amendment. This resolution states that it is U.S. policy that: (1) the government of the Islamic Republic of Iran should immediately release Saeed Abedini, Amir Hekmati, and Jason Rezaian, and cooperate with the U.S. government to locate and return Robert Levinson; and (2) the U.S. government should undertake every effort using every diplomatic tool at its disposal to secure their release. ^ Goldman, Adam (December 13, 2013). "National Security". The Washington Post. ^ Pat Milton (2007-05-10). "Intrigue Surrounds Former FBI Agent Who Disappeared in Iran Two Months Ago". San Diego Union-Tribune. Associated Press. Retrieved 2013-01-08. ^ "Missing ex-FBI agent Robert Levinson in hostage video: 'Help me'". Associated Press. 2011-12-09. ^ a b "Family releases photos of captive American". CNN.com. 2013-01-10. Retrieved 2013-12-12. ^ "American who vanished in Iran was on unsanctioned CIA mission – report". rt.com. ^ Mackey, Robert (16 September 2009). "Just Another American Hit Man, Actor and Journalist Living in Iran". The New York Times. Retrieved 17 February 2013. ^ a b c "U.S. official: Obama, Rouhani discussed fate of three Americans - CNN.com". Edition.cnn.com. September 28, 2013. Retrieved 2013-12-12. ^ a b "Mahmoud Ahmadinejad drops clue about Robert Levinson, ex-FBI agent who vanished 5 years ago in Iran". CBS News. 2012-09-25. ^ "Ex-FBI man in Iran not "missing" at all". PressTV. 2007-04-04. Archived from the original on 2013-12-06. Retrieved 2013-03-24. ^ "US sees Iran behind hostage photos of ex-FBI agent". PAP. 2013-01-09. ^ "U.S. woman plans trip to Iran to search for missing former FBI agent husband". International Herald Tribune. 2007-08-02. ^ "Iran: Missing American's family can visit". CNN. September 23, 2007. Retrieved 2008-08-08. ^ Fathi, Nazila (December 24, 2007). "In Iran, Search for American Yields Little". New York Times. ^ Levinson, Daniel (June 22, 2008). "Missing a Father in Iran". The Washington Post. p. B07. Retrieved 2008-08-08. ^ "Wife of ex-FBI agent to repeat Iran visit in search of her husband". Payvand. July 15, 2008. Retrieved 2008-08-08. ^ "Transcript: 'Response ... will be a positive one'" (NBC Nightly News). msnbc.com. July 28, 2008. Retrieved 2008-08-08. ^ "No 'miracle' for American missing in Iran". CNN. December 22, 2007. Archived from the original on April 10, 2013. ^ "Senator Says Former FBI Agent Who Vanished in 2007 Is in Secret Iran Prison". Fox News. January 13, 2009. ^ Mackey, Robert (September 16, 2009). "Just Another American Hit Man, Actor and Journalist Living in Iran". ^ "Former FBI agent held in Iran: report". Reuters. ^ "Statement by the Press Secretary on Robert Levinson". The White House. ^ "John Kerry meets with family of ex-FBI agent missing in Iran". Reuters. ^ a b "FBI — $1 Million Reward Offered for Missing Retired Agent". Fbi.gov. Retrieved 2012-03-07. ^ "FBI — Eight Year Anniversary of the Disappearance of Robert A. Levinson". FBI. ^ ADAM GOLDMAN and MATT APUZZO Associated Press (2011-03-03). "Years After Vanishing in Iran, US Man Proven Alive - ABC News". Abcnews.go.com. Retrieved 2011-12-09. ^ "Robert Levinson, missing ex-FBI agent in hostage video: 'Help me'". Associated Press. December 9, 2011. ^ mwolda (Sep 27, 2013). Charlie Rose asks Rouhani about Robert Levinson. YouTube. Archived from the original on 2013-09-27. Retrieved 2013-12-12. ^ "Son of captured American pleads for father's release". Fox News. ^ "Family Asks For Help Locating Man Possibly Missing In Iran". Daily Press. September 30, 2007. ^ Deb Riechmann (11 May 2015). "Senate Passes Resolution for Release of Americans in Iran". Archived from the original on May 28, 2015 – via washingtonpost.com. ^ James, Risch, (20 May 2015). "S.Con.Res.16 - 114th Congress (2015-2016): A concurrent resolution stating the policy of the United States regarding the release of United States citizens in Iran". www.congress.gov. Help find Bob Levinson FBI website, retrieved 7 March 2012.